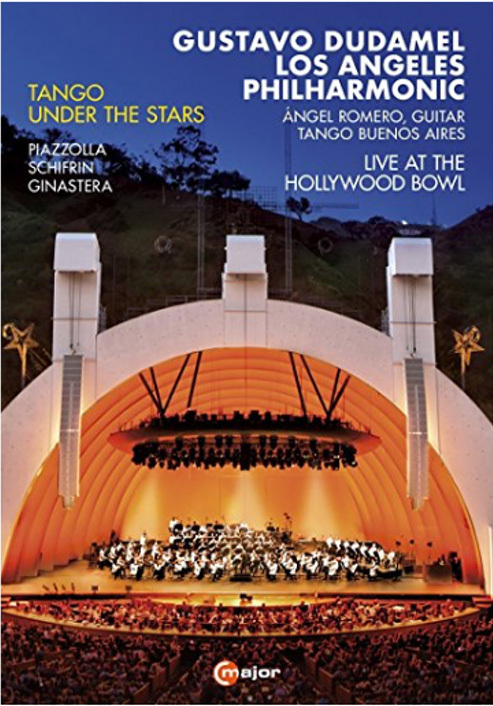 Great Performances on PBS — LA Philharmonic live at the Hollywood Bowl: Dudamel Conducts Tangos Under the Stars. Watch or CLICK HERE to order. Order your copy of new 4-CD box set. 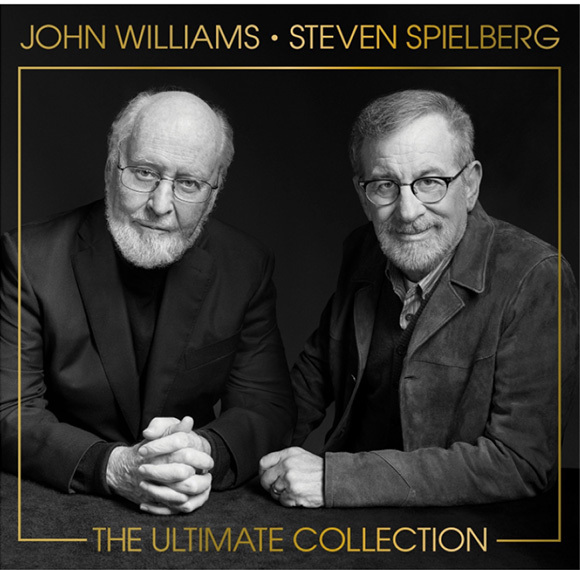 Composer John Williams conducts “The Ultimate Collection,” a studio recording featuring music he composed for Steven Spielberg’s films. Tom plays the trumpet solo on “With Malice Toward None” from the film “Lincoln.” CLICK HERE to order. 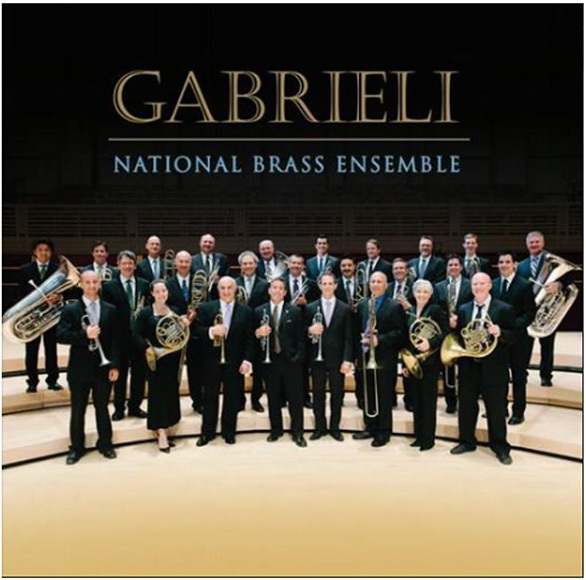 Tom is featured on new Gabrieli album featuring principal brass players from top American orchestras. CLICK HERE to order. 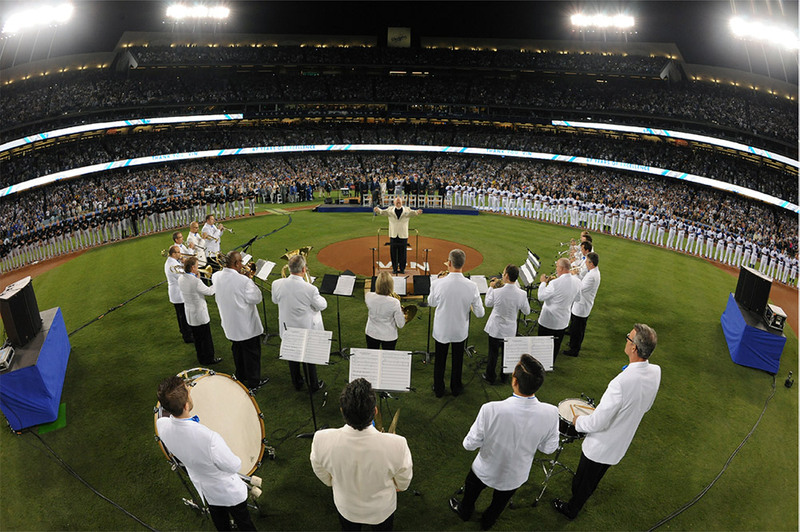 Playing for a sold-out crowd! Vin Scully Appreciation Day at Dodger Stadium, September 23, 2016. LA Phil brass and percussion sections are conducted by John Williams. HURRY! Application deadline is Dec. 1, 2016, for Fall, 2017 term at Thornton School of Music. Apply here. CONCERT AVAILABLE NOW for online viewing. Click HERE to watch. Also available for online streaming for one week after radio broadcast. Click HERE for concert details and to listen online. 5/22/15 Read the story HERE. 2/12/15 Los Angeles Times — Feature story about the orchestra includes video profile and interview with Tom Hooten and four LA Phil colleagues. Read and watch HERE. 2/8/15 Los Angeles Times — Andrew Manze leads L.A. Philharmonic in a horn showcase. Read the concert review HERE. 2/6/15 LA Weekly — Read the article about Tom Hooten and Andrew Bain HERE. 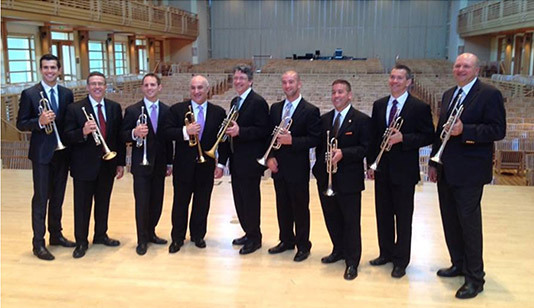 Trumpet section from the National Brass Symposium in 2014 at Sonoma State. Recording to be released later this year.